Are you familiar with the English expression, “Sometimes big things come in little packages?” I’m thinking that may be true for gifts of jewelry, but for teachers giving the gift of a good education, making things bigger is often better. Magnification helps children and adults see more clearly. Making magic with different kinds of magnifyers is a classroom-tested attention-getting trick for teachers. In children’s hands magnifyers become instructive devices that are fun to use. 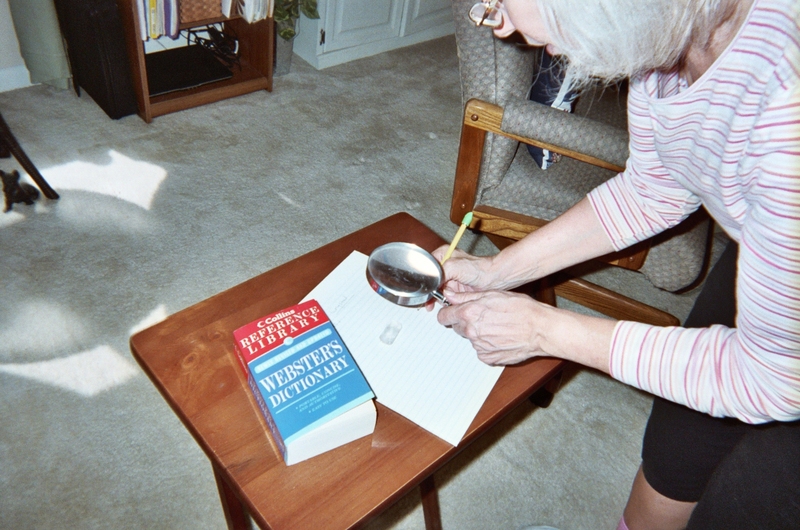 Holding a magnifying glass in hand is an active way to look closely at something. Sight is the result, but the ACT of looking helps the learning process. 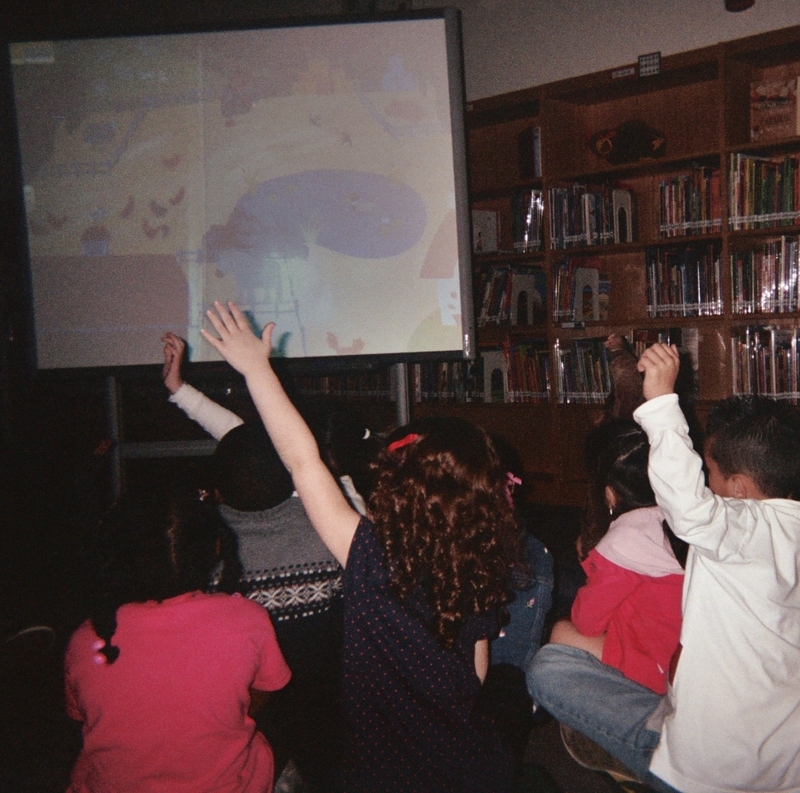 Any teacher that uses a document camera or a computer to project images on a screen or SmartBoard, (like the teacher in my blog pic here) is working with magnification. Today’s Attentionology post offers a few tricks to try using the magic of magnification. Play I Spy a Good Listener – Hold up a magnifying glass – a large toy one available in many “dollar stores,” (at least in the US) or in toy stores. In your best “detective voice” announce that you’re looking to spy good listeners. If you want to take this activity a step further, single out kids that are showing excellent looking and listening skills. For example, you can note to the class the Jorge and Isabel are paying close attention by following you around the room. Test students’ listening skills further by asking them to repeat a short math equation, if you’re using this trick as part of a math lesson, or to repeat a short rhyme, for example, if the magnification trick is part of a language arts activity. Let’s Look More Closely at Words – The magnifying glass I’m holding in my blog pic here is an antique; it belonged to my great-grandfather. I’ve shown this decorative glass to students as a lead-in to writing time. “Let’s look more closely at the words we choose to use,” I’ll say, explaining that many of the words we use in English and other languages of the world come from an ancient language called Latin. I’ve found that kids love learning bits and pieces of Latin; word origins fascinate them. What Time Is It? 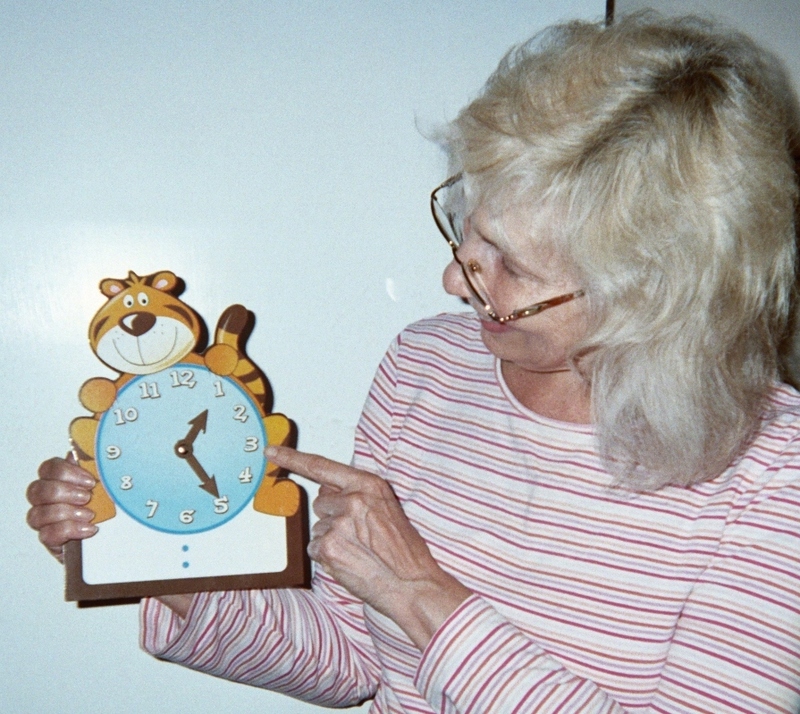 – Draw young children’s attention to a teaching clock, like the one in my blog pic here, by letting kids take turns “zeroing in” on one number at a time with a magnifying glass. Tell the class that it’s important to be able to keep track of time, like detectives keep track of leads on a case! Track Back in Time – Invite students in grades 3 – 5 to use magnifying glasses to study maps of earlier civilizations in Social Studies. Many historians agree that it was the Romans (back to Latin!) who discovered magnifying glass in the first century, A.D. Research suggests that the Romans found that glass that was thicker in the center and thinner around the outer edges magnified an object being observed. Score a Science Connection – Hold up a toy or real magnifying glass and ask your class if they know how it works. Answer: modern magnifying glasses are double convex lenses that make objects appear larger than they are. Explain the difference between convex and concave, showing convex with the magnifying glass. Tell students that magnifying glasses have been key to scientific and medical discoveries. How? Early magnifying glasses led to modern-day microscopes. Get to the Heart of Art – Some museum educators use magnifying glasses to help kids understand the concept of studying – not just looking at – paintings and other works of art. Museum visitors are not permitted to actually get too close to pieces on display, but a magnifying glass symbolizes investigation. 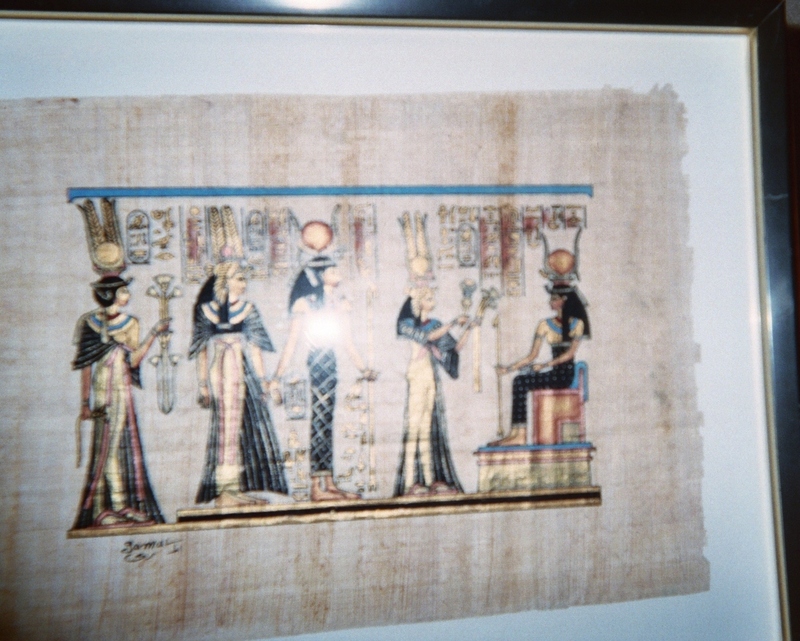 framed copies of art work, like the Egyptian parchment painting shown in my blog pic here. Invite students to take on age-appropriate challenges, using a magnifying glass to look for subject, color, placement, lighting, etc. in the work of art. If you like these teaching tricks, let your students know that you’ll offer more opportunities to use a magnification glass in class. In fact, eventually you may catch and keep kids’ attention before you begin a lesson simply by holding up your magnifying glass for all to see and repeating your goal of spotting good listeners. The magnifying glass can become an attention-getting signal for students. Using tools of magnification – cameras, computers, glasses – models curiosity and critical thinking. Getting a closer look aids understanding and mastery of skills.